All these lovely flowers were handmade by me, following the patterns designed by Lesley Stanfield, from the book "100 Flowers to Knit & Crochet". 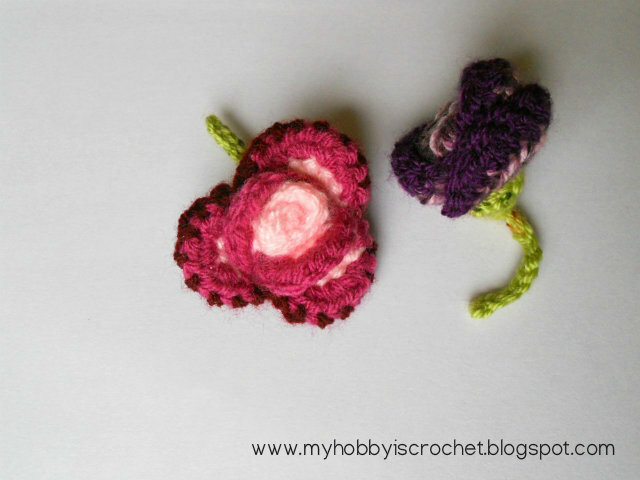 I loved crocheting them, especially, because the patterns are offered as written instructions and crochet charts! 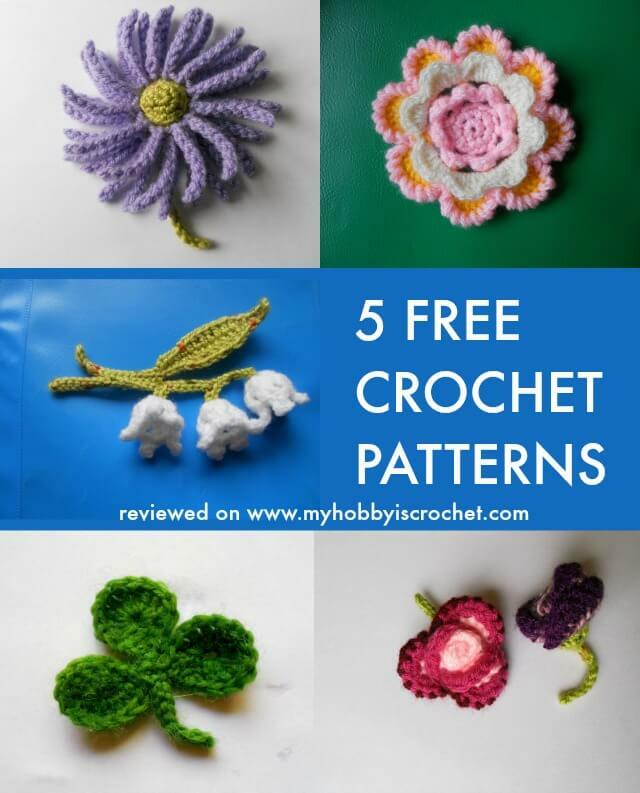 These 5 patterns are offered for FREE via Lion Brand Stitchfinder and Ravelry. Check out the links below! by Lesley Stanfield via Lion Brand Stitchfinder here. Lily of the Valley, handmade by Kinga. FREE PATTERN (written instructions+CHART) by Lesley Stanfield on Ravelry via Ravelry here. Direct link to Pdf file here. 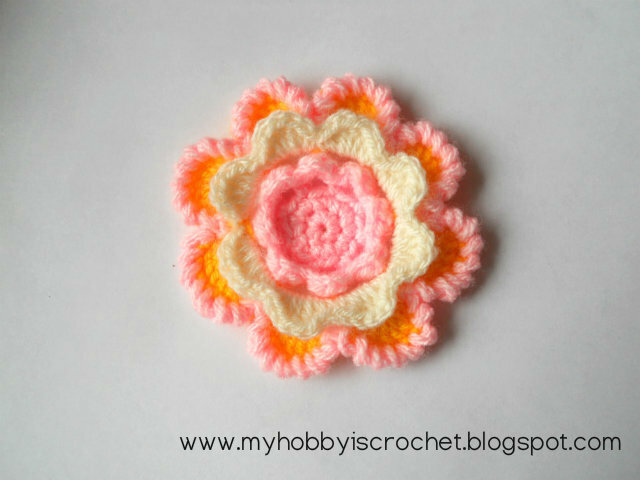 Note: Because I didn't liked the flat look of the flower center, I made an extra center and stitch it on the top of the initial center. Rnd.1: magic ring, ch1, make 6 sc in the ring, join with sl st in the beginning ch. Rnd 3: ch1, make 1 sc in each sc around, sl st in the beginning ch. Fasten off. 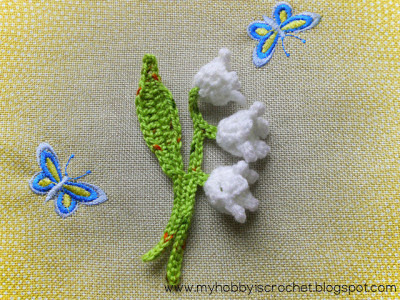 FREE PATTERN (written instructions+CHART) by Lesley Stanfield via Lion Brand Stitchfinder here. Why "Hybrid"? 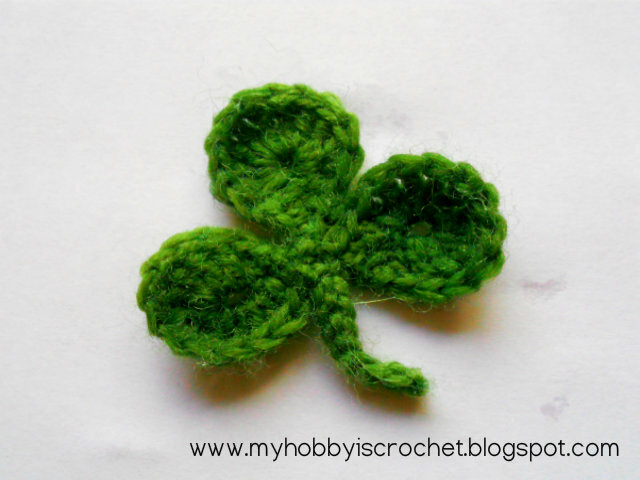 Because I made some modifications to the original pattern "Irish Rose" by Lesley Stanfield. I followed the original pattern until round 6. At round 7 I made this way: ch1, turning the flower with the back side facing you, make 1sc around the stem of next sc of round 6, 5ch, (1sc around stem of next sc of round 6, 5ch)x7 times, sl st in the first sc. Round 8 was made the same way as in the original pattern. 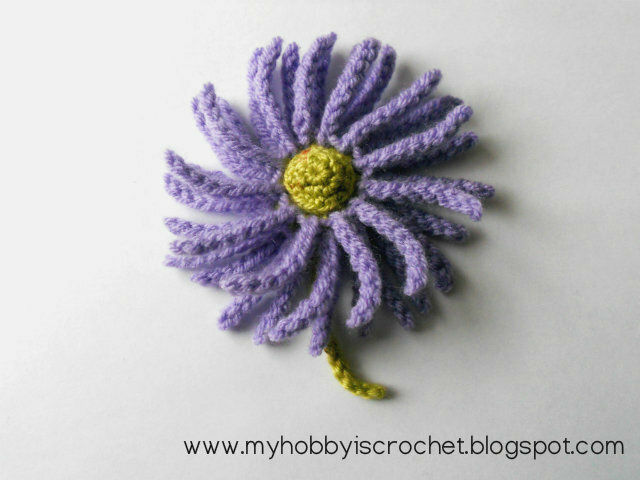 I made an extra round for the edging, Round 9, using sc crab stitch around each petal. I hope you enjoy making them as much I did!